Does anyone know about any good articles on this topic? 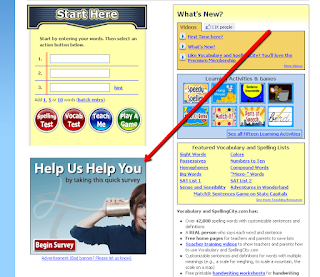 About half of my Google Adsense ads in 300 x 250 box on my site are showing survey ads. Google Adsense has it's own stream of Burst survey ads with no filtering whatsoever. So these are ads that Burst sold advertisers and which Google places. We have no way of knowing what the ad rates were as Google hides all that from us on a per impression or even a per network source basis. These network flows and the filtering capability are something new that we have been working with over the past 3 weeks. One of the difficulties is that the previews in Adsense do not accurately reflect the set of running ads. The Burst ad stream was new on January 1 as were a number of other Adsense ad streams. It takes a while to sort these things out, especially with this being a brand new set of functionality and ad flow in Adsense. Google Adsense is not as easy to optimize as it was one month ago. It is essentially a brand new product in terms of control and optimization. They are moving everyone towards a DoubleClick optimization model and level of complexity. If you're looking for a good contextual advertising network, I suggest that you check out Chitika. Am I loser if I'm following more than followed?